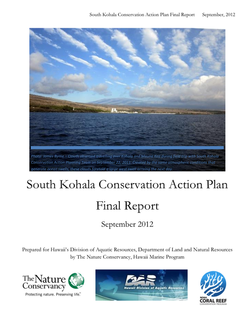 The Nature Conservancy facilitated the Conservation Action Plan process for the South Kohala coastline on behalf of the Hawai‘i Department of Land and Natural Resources, Division of Aquatic Resources to help establish priorities for Hawai‘i’s Coral Reef Strategy. The planning process was designed to give key stakeholders and community members the opportunity to develop and provide input on strategies to address coral reef threats. Over 30 agencies and organizations contributed to the planning process with participation from the following groups that make up the South Kohala Coastal Partnership. Working group: The working group/core team meets bi-monthly to prioritize and evaluate projects that will address the CAP strategies. The Nature Conservancy, University of Hawaii Sea Grant, United States Department of Agriculture - Natural Resource Conservation Service, ﻿Mauna Kea Soil and Water Conservation District﻿, National Oceanographic and Atmospheric Administration (NOAA) Coral Reef Conservation Program, Hawaiian Island Humpback Whale National Marine Sanctuary, National Park Service, Ala Kahakai National Historic Trail Association, Hawai‘i Department of Land and Natural Resources, and Hawai‘i Division of Aquatic Resources. 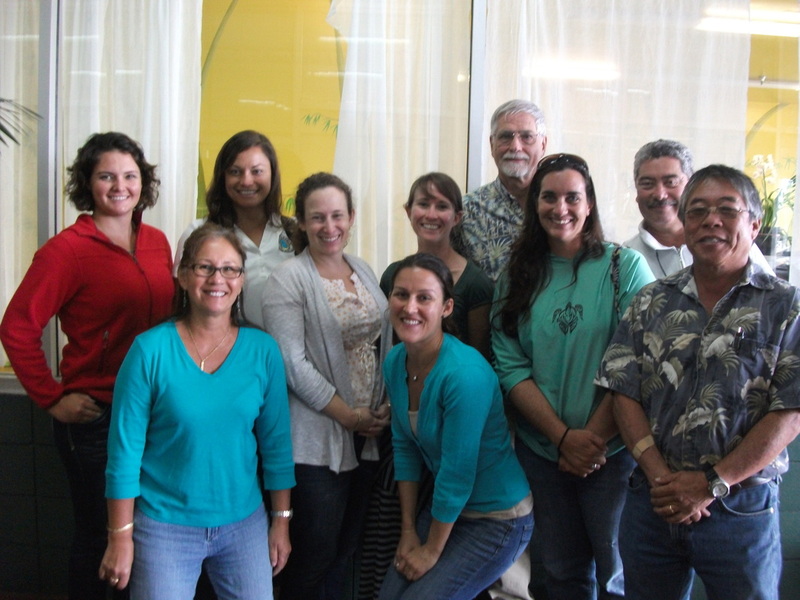 Current Project Contractors: Kailapa Community Association, The Nature Conservancy, Sustainable Resource Group International Inc., UH Manoa Fisheries Ecology Research Lab, and Hawaii Institute of Marine Biology.